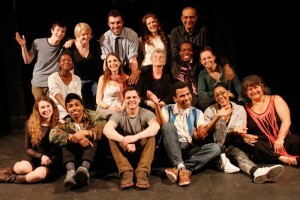 Welcome to Company One Theatre’s Education page. In all of our education programming we use theatre as a means toward liberated expression, self-confidence, and cultural awareness. As actors, producers, and educators, we are committed to teaching and exposing students to theatre as a means of inspiring creative thinkers, producing well-rounded individuals and a future generation of artists. RSVP to our Fall 2018 Professional Development for Actors Showcase! In 1999, Stage One, Company One Theatre’s education program, began a summer camp at an independent site in the Boston area. 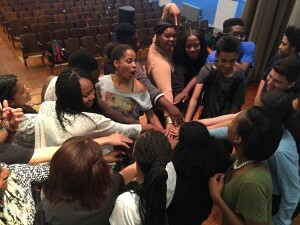 Two years later the summer program was invited to be a resident at the Coolidge Corner Theatre, where the curriculum began to evolve into a more intensive training. In 2006, Stage One took up its home at the Boston Center for the Arts where, along with Company One Theatre’s mainstage productions, it continues to thrive. 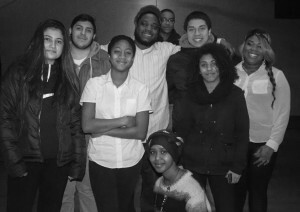 In 2012, Company One Theatre, in collaboration with the City of Boston and the Department of Youth Engagement and Employment, began its Apprentice Program, which works with Boston teens to offer positive, pre-professional work experience. Around the same time, the company introduced its Professional Development for Actors Class, which provides Boston actors with challenging character development, technique, and audition training. 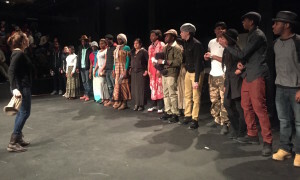 As part of Stage One: In-School, Company One Theatre has established teaching artist residencies within elementary, middle, and high school campuses in the Boston Public School system to introduce foundational elements of performing arts, theatre production, and artistic engagement to Boston’s youth. 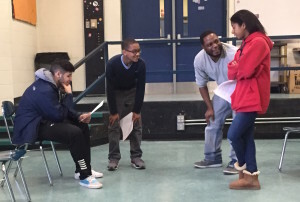 Company One Theatre brings theatre education residencies to the Boston Public Schools, designed to foster each young actor’s personal growth and theatrical development. Focusing on both writing and performance skills, Company One Theatre instructors are committed to teaching theatre as a process, leading the student-artist to develop his or her skills at his or her own rate, while deciding which techniques may best suit the individual. Company One Theatre is offering both a summer and a school year intensive program designed to create a pre-professional company of artists. Participants will gain valuable experience working in various jobs in the theatre, and have the opportunity to be mentored by Company One’s professional production and artistic staff. 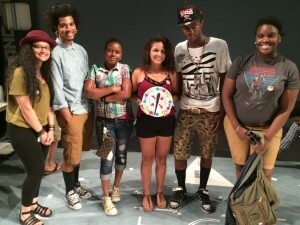 In the Production Apprenticeship, there is a focus on community engagement and advocacy. Company One Theatre is bringing their theatrical training to adults. Athletes go to the gym to stay in shape; this class is designed to offer a challenging work-out for actors perfecting their craft. Professional Development for Actors is 10 weeks of study with Company One Theatre’s high caliber instructors. The class culminates in a showcase.